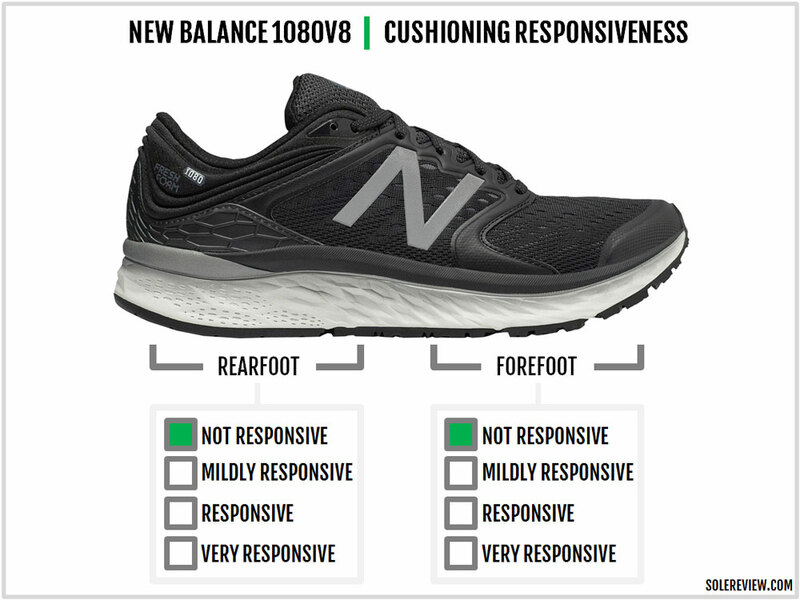 New Balance’s marketing pitch: The 1080 uses data-driven input for premium underfoot support. Upper: Engineered mesh, inner sleeve, synthetic leather, Urethane toe-bumper. Midsole: Single density EVA foam. 8 mm heel to toe gradient. The 1080 V8 offers a cushioned yet dull ride experience - which is the same as the V7. The upper fits well, if that's any consolation. 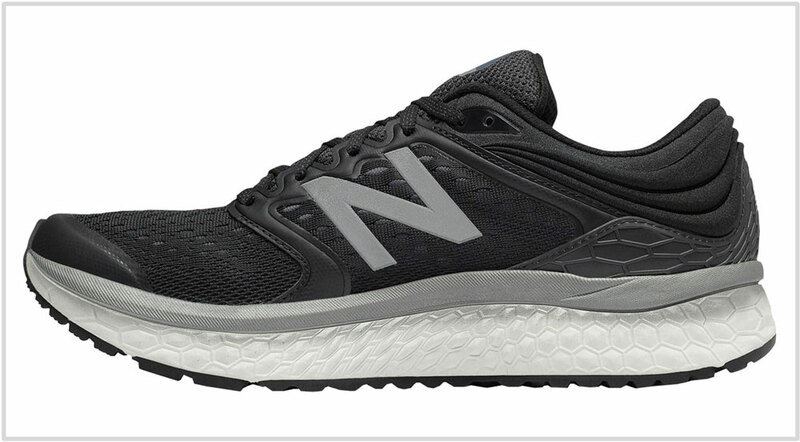 One’s impression of the New Balance Fresh Foam platform depends on the shoe model. The Zante V1’s thin and soft stack of Fresh Foam delivered an excellent ride. The 4 mm drop Boracay is pretty decent too. 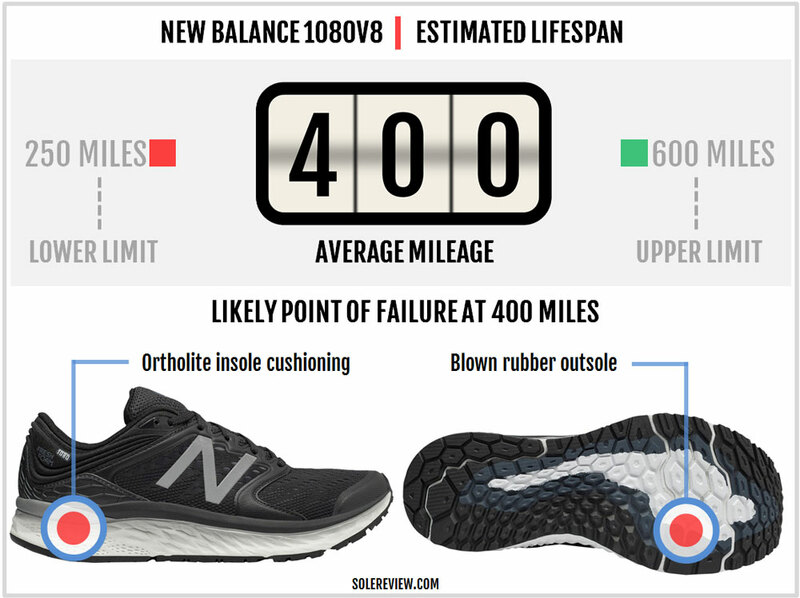 However, the New Balance 1080 is another story. It switched to the Fresh Foam midsole beginning with the V6. This replaced the traditional N2 insert + T-Beam configuration of the V5 and resulted in a drastic alteration of the ride quality. The ‘new’ 1080 was nothing like the V5. The Fresh Foam midsole delivered a dull, unresponsive ride. 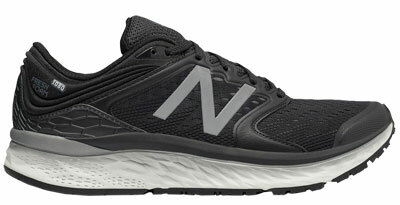 This does not befit a trainer which is New Balance’s top-tier neutral cushioning shoe. The 1080 V8 is very similar to the V7. Not much has changed except for a minor update to the midsole. The upper fit is nearly identical to the V7. In other words, it doesn’t matter whether you upgrade to the V8 or stick to the V7. The Fresh Foam midsole doesn’t have many tricks up its sleeve. It’s a solid chunk of single-density EVA foam with a heel to toe drop of 8mm. Both the sides have a hexagonal texture except that the outer side has small grooves and micro-cavities molded in. Most of the outsole is blown rubber except for the harder crash pad near the heel edge. The forefoot has a couple of flex grooves, and the outsole is covered with hexagon-shaped rubber lugs. The removable insole is an Ortholite variant which uses blown foam. The 1080 also uses a thin and secondary sheet of EVA foam below the insole. The Fresh Foam experience isn’t consistent across models. When used on the Zante, the result is a ride character which feels cushioned and responsive. In contrast, the 1080 feels ordinary. Sure, you’ll get the padding which is expected of a thick foam stack. But is it plush? No. Ok, is it responsive in a bouncy sort of a way then? Nope. For a lack of a better term, the 1080’s ride feels very one dimensional and dull. This is due to the combination of the single-density construction and the ‘Fresh Foam’ material. The latter is nothing but regular EVA which is used even on a $70 New Balance shoe. Other brands like Brooks and Saucony use regular EVA but their ride manners have greater sophistication. For example, the Brooks Glycerin uses a dual-density midsole, and so does the Ghost. Saucony combines an Everun Topsole which adds ride character. 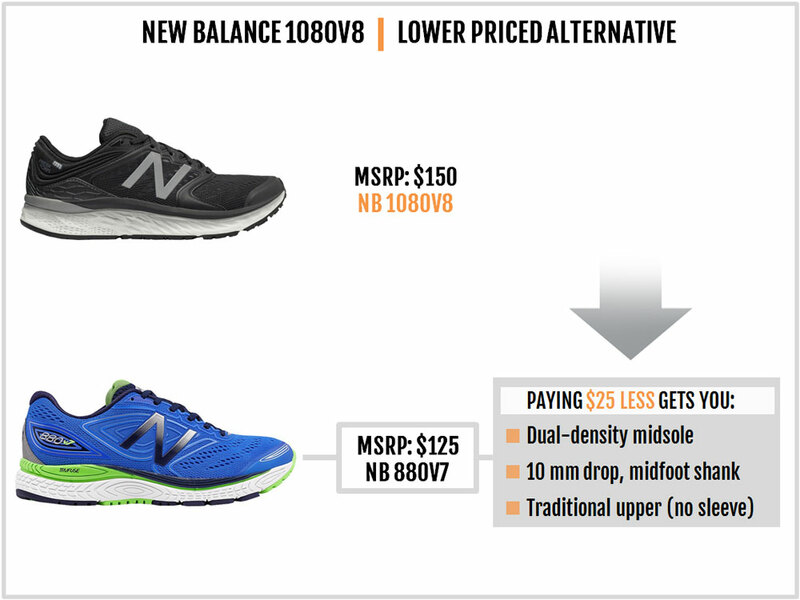 And if you look at New Balance’s own product line, models like the 880 and the 1260V7 have more personality than the 1080. There’s another thing we’ve noticed about thicker Fresh Foam models such as the 1080 and the Boracay. The 1080 uses a thick Ortholite insole which leads a lot of runners to believe that the soft cushioning is delivered by the Fresh Foam midsole. It isn’t; most of the ‘soft’ feel is produced by the plush Ortholite insole. 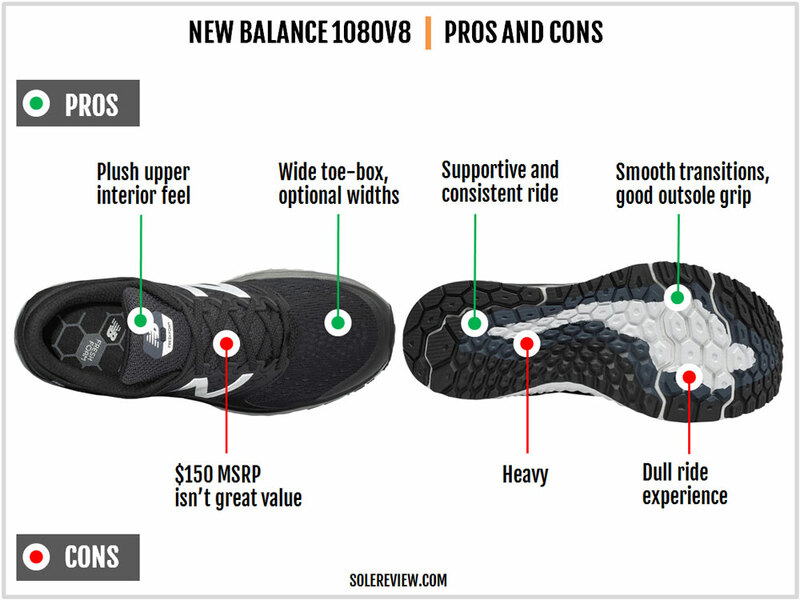 But take the insole out, and what you’re left with is a flat and firm ride quality. The Zante feels great because the midsole is low profile. 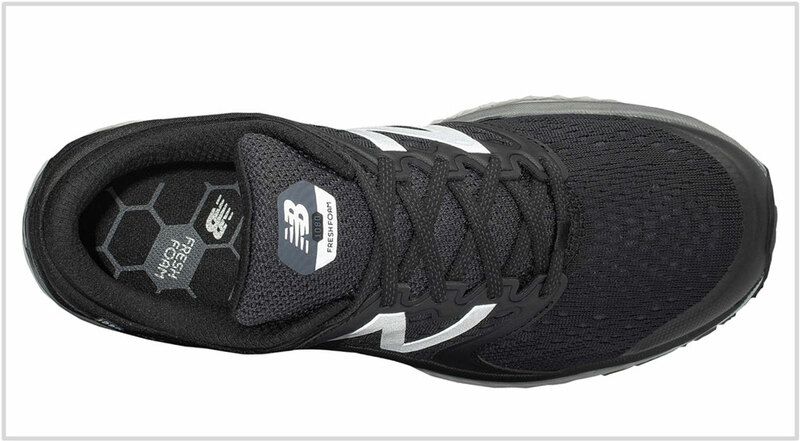 Thus, New Balance has the liberty to make the foam soft without sacrificing stability. In shoes with thicker midsoles (eg. 1080), a softer density can become a problem due to the potential loss of stability. Making the midsole firmer is the safest solution. Hence, the 1080 ends up having the firmest Fresh Foam midsole of all models. Which is actually counter-intuitive considering that the 1080 competes with the likes of the Asics Nimbus, the adidas Energy Boost, and the Saucony Triumph ISO 4. The firmness also translates into forefoot stiffness. There’re a couple of flex grooves in the front, but the 1080 doesn’t bend easily. But this is not a negative thing. At faster running speeds, a stiff forefoot deals with transitions and push-offs more effectively than overly flexible shoes. The other upside of a firm midsole is stability. The firm and supportive midsole also feel consistent, and the full-coverage outsole with a wide footprint helps too. The small, redesigned lugs grip well. Both the midsole and outsole smooths the process of weight loading while resisting excessive compression. 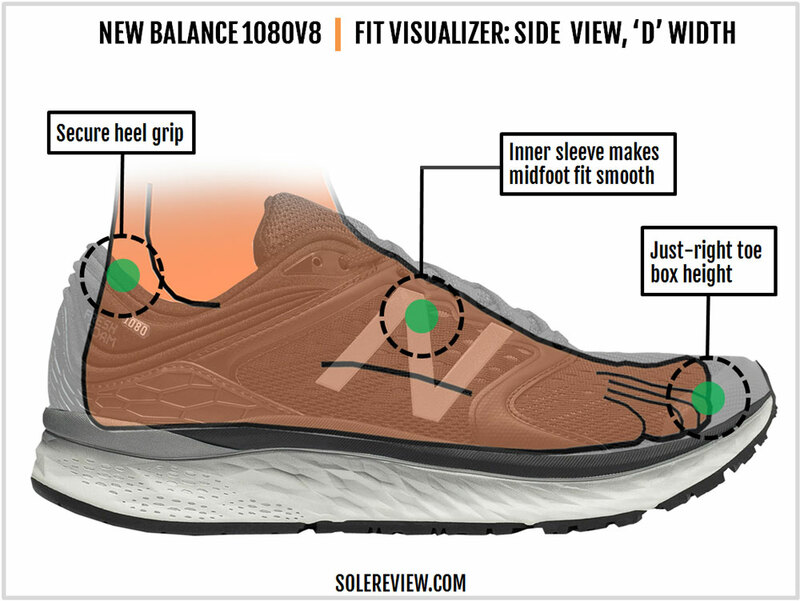 Though the lateral midsole compresses a bit more than the inner side due to the grooves, it does not lead to a noticeable cushioning bias. Mind you, a stiff forefoot can become a burden when you’re running slow. This is relevant if you’re planning to put the 1080 through leisurely paces during a marathon or any long training run. 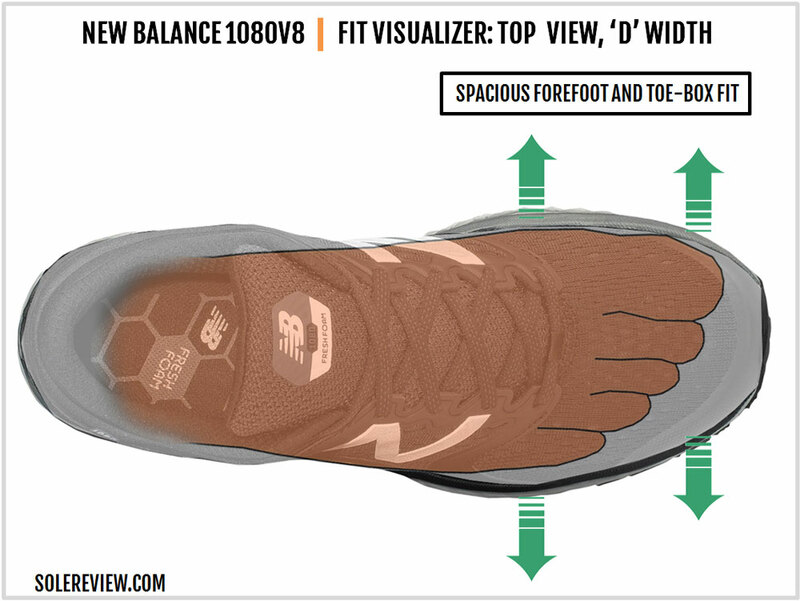 At slower speeds, the rigid forefoot will tend to fatigue the forefoot as the latter tries to flex the shoe. At higher speeds, this is a non issue as transitions happen quickly. The 1080 is also heavy. This is 11-ounce shoe even for a size US 8, so you’re carrying at least an ounce extra over most mid-weight neutrals. Under the circumstances, the 1080 works best as a daily trainer for runs up to a half marathon distance. And while the midsole is firm, consistent, and supportive, the 1080’s weight works against it when used for speed runs. 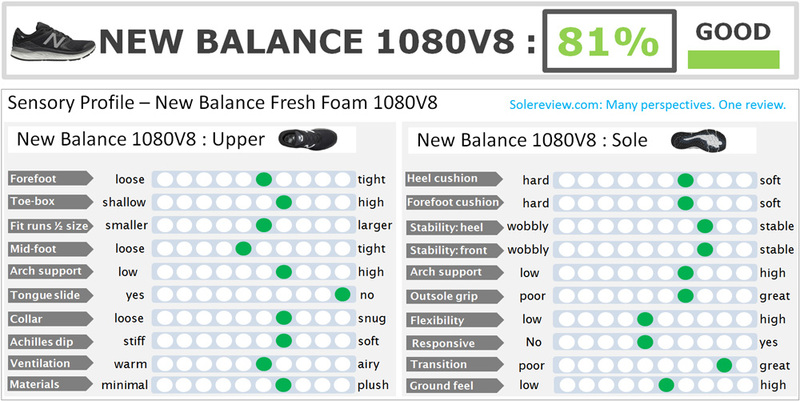 And those of you who have the 1080 V7, what’s changed? Not a lot. The ride is marginally softer on the lateral side due to the deep ‘dimples’ molded on the side. The redesigned outsole also affects the cushioning softness. The crash pad is separated from the rest of the outsole by a wider groove. This allows the crash pad to operate independently, a behavior which ends up softening the rearfoot ride. The 1080V8 also grips better due to the smaller and raised hexagonal grooves. The 1080V8’s upper is very similar to the V7. The front has a molded toe-bumper, followed by the forefoot which uses a soft engineered mesh. The New Balance logos are reflective, and so is the tongue label. The midfoot uses an inner sleeve which is attached to a padded tongue. The laces are the same old – flat and semi-elastic. There’s a hard internal heel counter. The external heel has molded foam pockets, and the insides are lined with a foam-quilted mesh. The 1080V8 has a fairly roomy fit. The toe-box has enough vertical space and the forefoot is spacious. New Balance’s offering of additional widths is second to none in the footwear industry; the 1080 is sold in four sizing widths. Length-wise, the 1080 fits true to size. Inside the midfoot is a sleeve which centers the tongue and makes the interiors smooth. Though the external overlays are partially stitched over the midfoot, they don’t irritate the way the ones on the V7 did. The midfoot overlays are wider this time, and that helps ease off the side pressure. The heel fit is secure and comfortable. The combination of the hard internal counter and the plush padding locks the rearfoot in place. We’ve upgraded the 1080V8’s mileage forecast to 400 miles. This is based on the feedback from the 1080V7. Despite being made of blown rubber, the outsole takes abuse fairly well. The sleeved upper has no weak points either. Except for the initial wear and tear of rubber lugs and the eventual cushioning degradation of the midsole and the Ortholite insole. The 1080V8 has a few flaws. The 11-ounce weight makes its bulk felt during runs, and the dull ride quality of the thick Fresh Foam midsole isn’t inspiring. The 1080 is also very expensive for what it is – what additional value does it offer over a Boracay except for the heel stack and drop? What the 1080 lacks in ride quality, it makes up in the upper fit department. The forefoot and the toe-box are spacious, and the sleeved midfoot offers a smooth interior environment. And the 1080 offers four optional widths, no less. Using a single-density midsole and a full-contact outsole makes the transitions smooth. The Fresh Foam stack is relatively firm and supportive. If you feel that the 1080 isn’t worth its sticker price, the under-rated 880V7 is the perfect 1080 replacement. 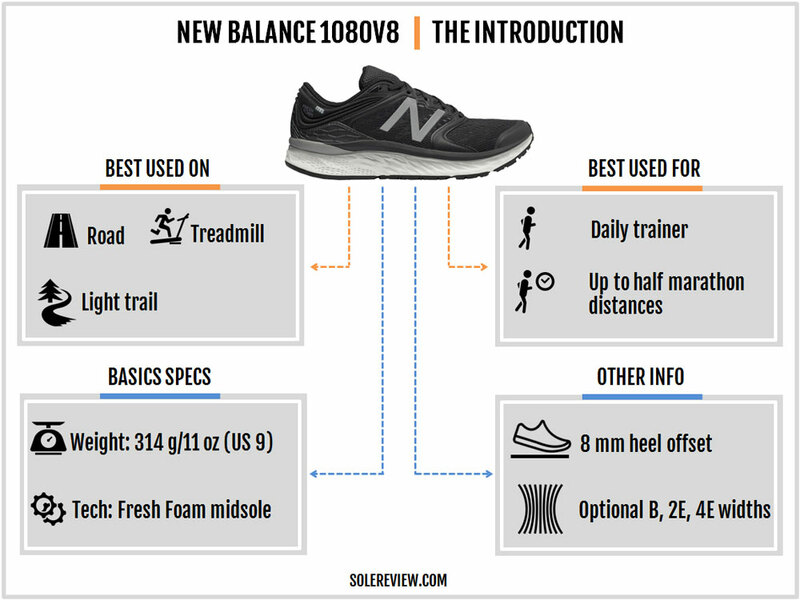 The 880 V7 is an excellent neutral trainer with a lot of ride character. The dual density construction adds sophistication to the ride quality. The upper uses a tried-and-tested combination of engineered mesh and synthetic to deliver a comforting fit. In many ways, the 880 is a throwback to the older (V5 and earlier) 1080 models. If there is one Fresh Foam shoe we really like, it’s the Zante. It has enough cushioning to make runs of most distances comfortable. The midsole is low profile, meaning that the lightweight Zante is suitable for medium-paced runs. For 5K and 10K races, get yourself either the 1400V5 or the Hanzo. The Hanzo is (nearly) a pure racing flat while the 1400V5’s midsole offers a certain level of creature comfort. You can also replace the Zante with the Asics Dynaflyte 2 or the adidas Boston. As far as lightweight racers go, either the adidas adios 3 or the Nike Zoom Streak LT will work great. 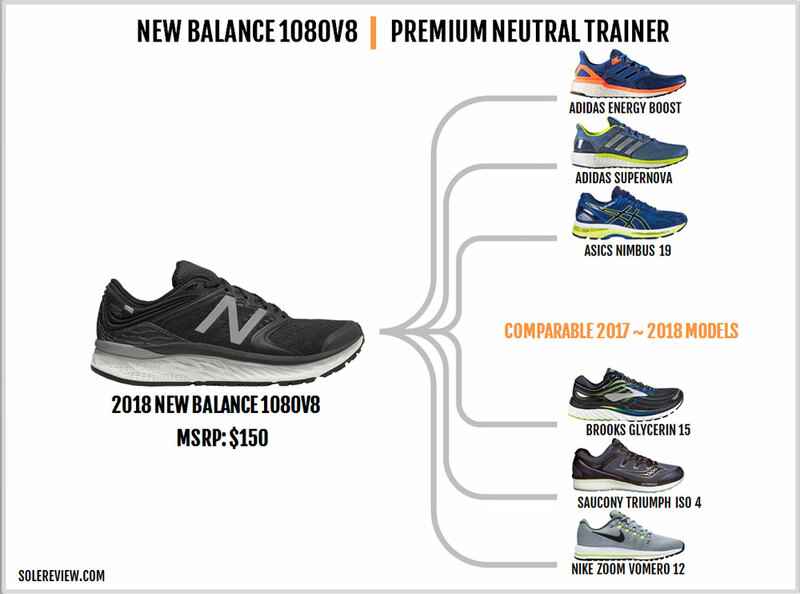 The 1080V8 has formidable competitors within the premium neutral cushioning segment. Starting alphabetically, adidas sells the plush Energy Boost, and even the Supernova is comparable. Asics sells the popular Nimbus 19 (now going on 20) and the Brooks Glycerin 15 is another familiar model. Nike’s Vomero 12 (the 13th version has just been released) is cushioned and responsive trainer. 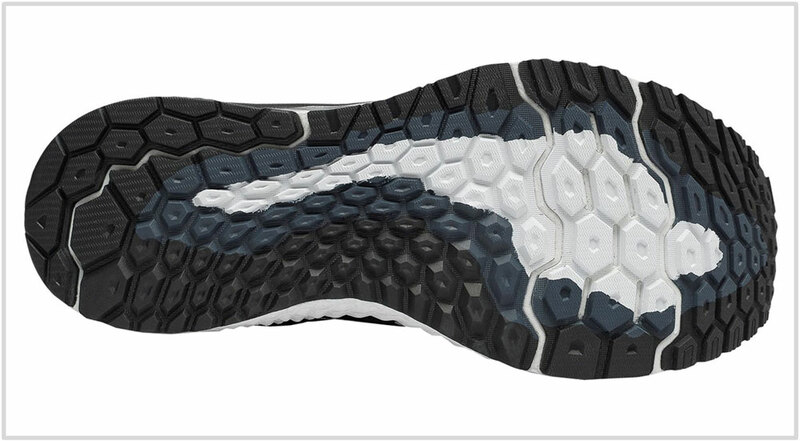 Saucony recently upgraded the Triumph ISO with a full-length Everun midsole. 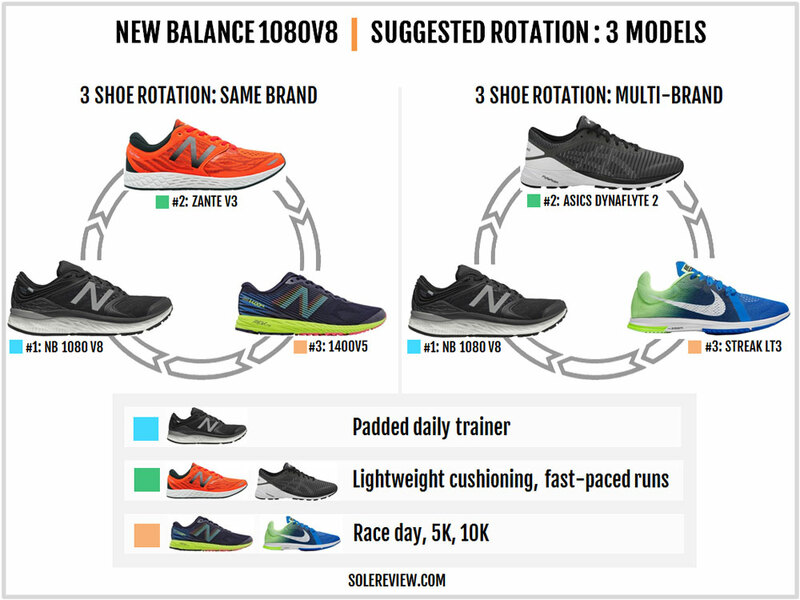 Frankly, the New Balance 1080 feels dull in comparison to most of these shoes. So if you’re ready to spend the 1080 kind of money, make sure you look around before committing.